HAVING THEIR CAKE: Cake, with vocalist John McCrea pictured centre, are truly unique. 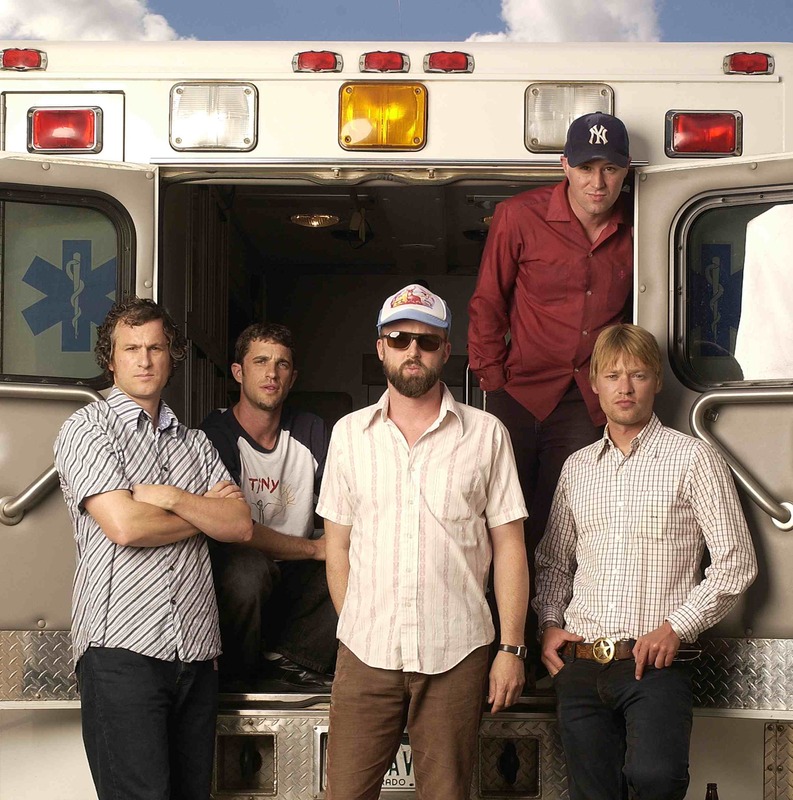 One of my more interesting interviews of recent memory was with John McCrea of Californian alternative rockers Cake. I’ve been a fan of their music for many years. I’m a big admirer of the original sound they’ve crafted – a melting pot of rock, pop, ska, hip hop, reggae, country, blues and folk – and, like most fans, a big appreciator of the lyrics of McCrea. He has a wry sense of humour and Cake’s songs are at once silly and intellectual. It’s a truly unique concoction. I was expecting John to be friendly and insightful and he was. I’d love to have a beer with him one day. The interview was a preview for Cake’s Australian dates in 2012. I saw them live at Harvest Festival in Sydney and they were fantastic. I’ve pasted a link to my interview with McCrea below. I encourage you to read the anecdote about Cake’s experience with their classic music video for ‘Short Skirt/Long Jacket’ and how their mainstream record label responded to it. I’m still pretty negative in my assessment of human prospects. I tend to take a plaintive voice to my writing. In the tradition of the blues, and country [music] to a certain degree, it’s not celebratory music by any means. But there’s a certain amount of celebration in some of the rhythms of our music. But lyrically and melodically it’s somewhat more pessimisstic and sometimes mournful. Hopefully that creates a cognitive dissonance for people that can take them somewhere else.